The Concord Dentil design has remained a staple throughout various periods, including the modern age. You can bring some rich history into your home with our Concord Dentil Crown Moulding Room Kits. Focal Point has placed a unique spin on the widespread embellishment while still valuing the balance that Greeks and Romans emphasized in their crown moulding. If you’re not a huge fan of more modern styles, these mouldings will fit right in with homes that sport ambiances based on character and ornate detail. 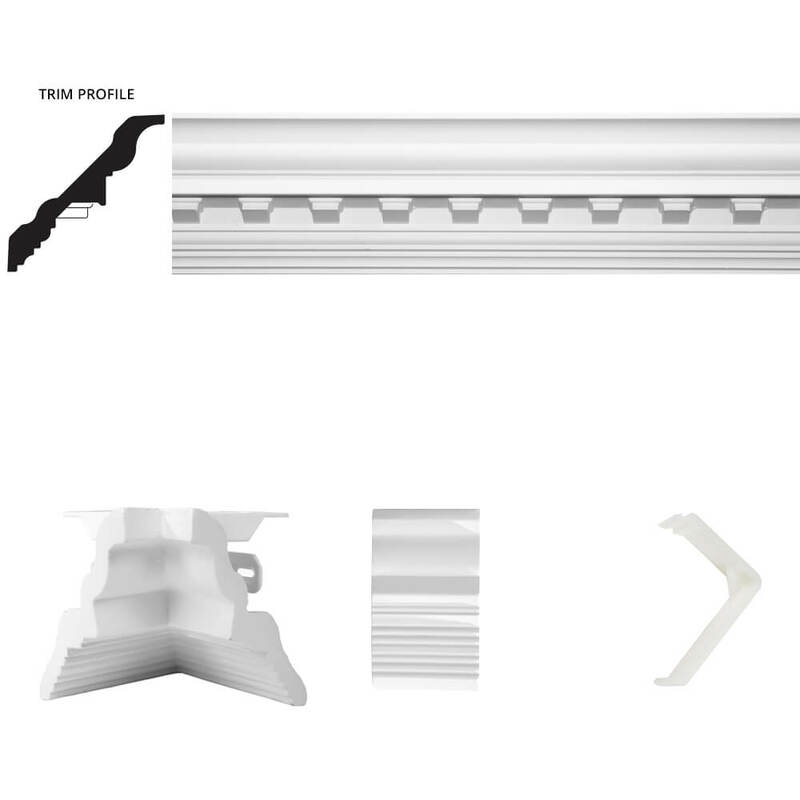 Due to how widely they’ve been used over the ages, our dentil moulding kits feature the versatility you need to improve the overall appearance of any room. The dentil moulding panels come primed, providing you the freedom to finish them as you wish or install as-is. 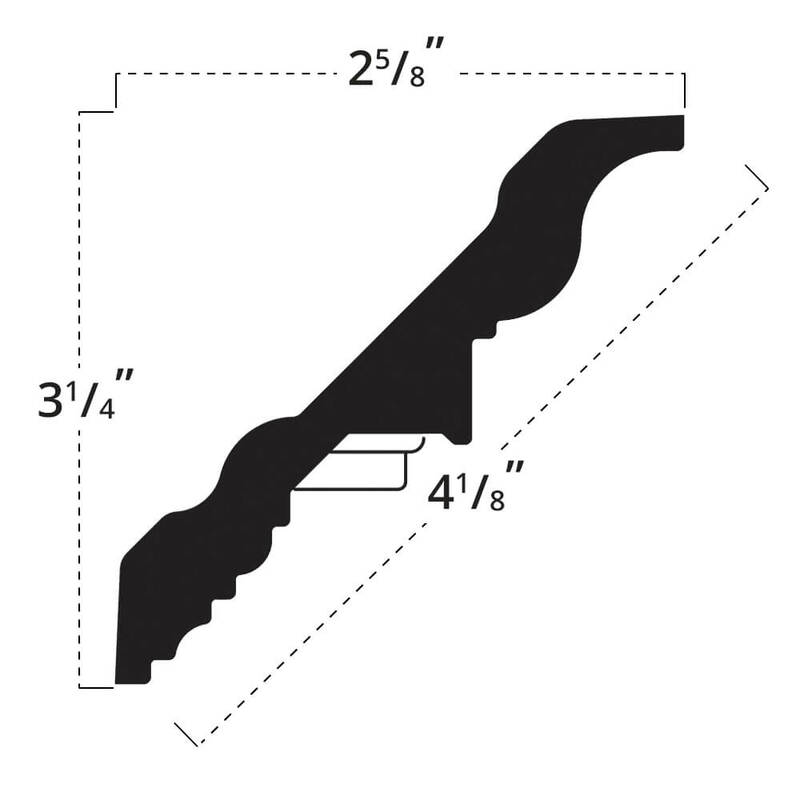 They measure in at a width of just under 4.25”, making them perfect for just about any room in your home. While thinner panels might feel less noticeable, appropriate deployment and room design will allow their subtleties to shine through. We’ve designed our patented kit system to avoid the frustrating millwork that handcrafted dentil mouldings call for. 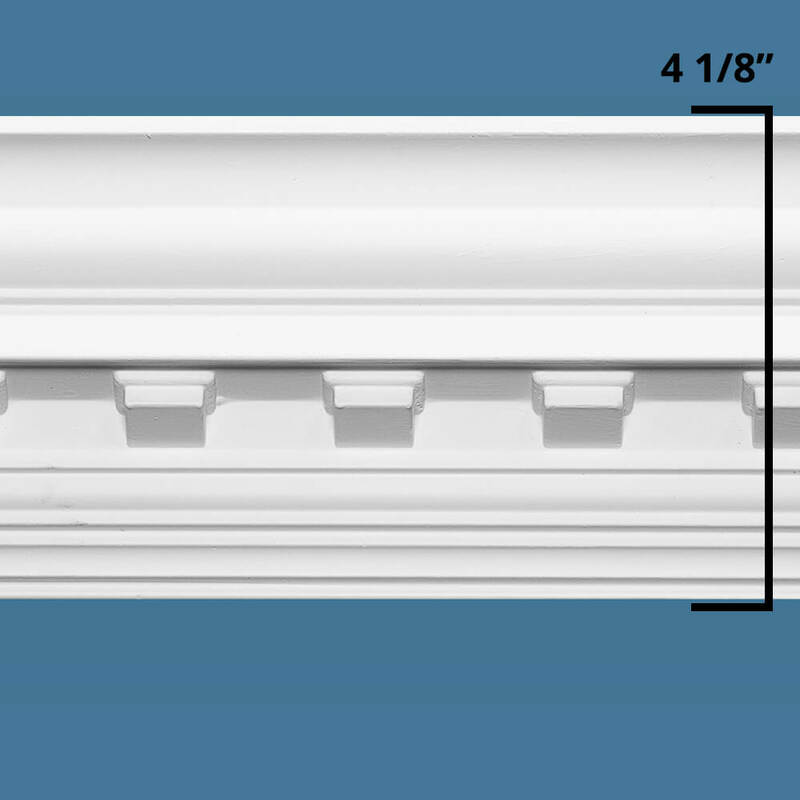 Extensive skill and time requirements create unreasonable costs for traditional options, but our crown moulding with dentil detail creates a stunning traditional look while nearly eliminating the hassle. 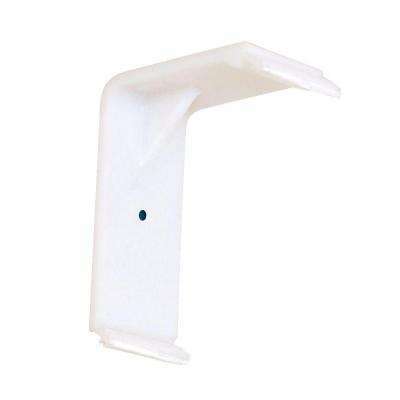 We offer Quick Clips and Moulding Mates to create a fun DIY project that has a professional finished appearance. Just install the clips, cut the moulding panels, quickly tap them into place, cover the exposed gaps with Moulding Mates, and your room is all finished.